Agrestis EVO aromatic oils are natural products. It is produced by the combined squeezing of olives and ORANGES. sweet and fresh, with a light bitter aftertaste of orange peel. Optimal in combination with fish marinade like : swordfish, tuna and salmon. It presents itself excellent for raw fish, it adds something more and particularity to the taste not enhanced by cooking. To obtain a particular breading of the anchovies “ alla Beccafico” or of rolls of swordfish “ alla Palermitana”. 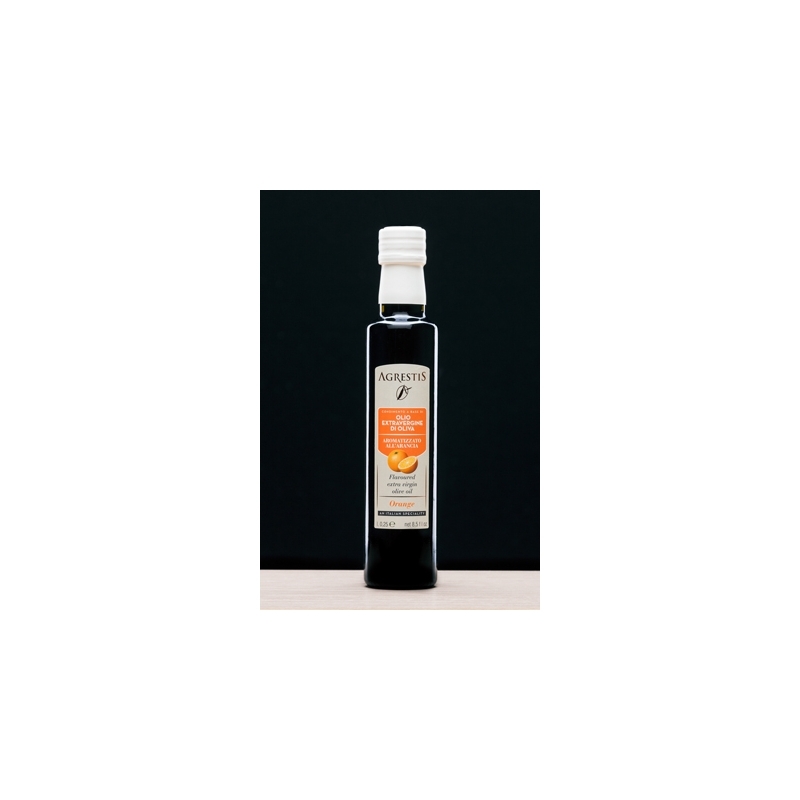 Orange EVO oil is excellent to cook or marinate chicken, duck, turkey and to dress salads. In particular combination with bitter salads it gives us a sweet note.